Signature Iron Doors can build a door for any home or location. We can provide a tear out and install for your remodel, or just an install for your new home. This is a full arch double door remodel we did near Santa Barbara California. Our licensed welders hand forge every piece of iron to fit perfectly each design. 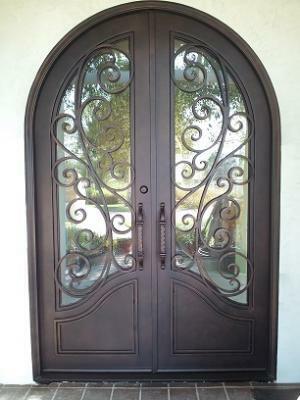 Call us to speak with a sales representative about how you can receive a full arch double iron door for your home.